Celebrating the creativity and life of Vincent Van Gogh, “At Eternity’s Gate” (2018) is a stunning biography of the famous artist. To promote the film and use the evocative visuals and script as a tool to teach language arts to young students, Wiseman Education in partnership with Cultural Agents held the Language Out Loud Competition in December 2018. Participating students from across Hong Kong and mainland China translated quotes from the script from English to Chinese and drew artwork and made videos inspired by their interpretations of the script. 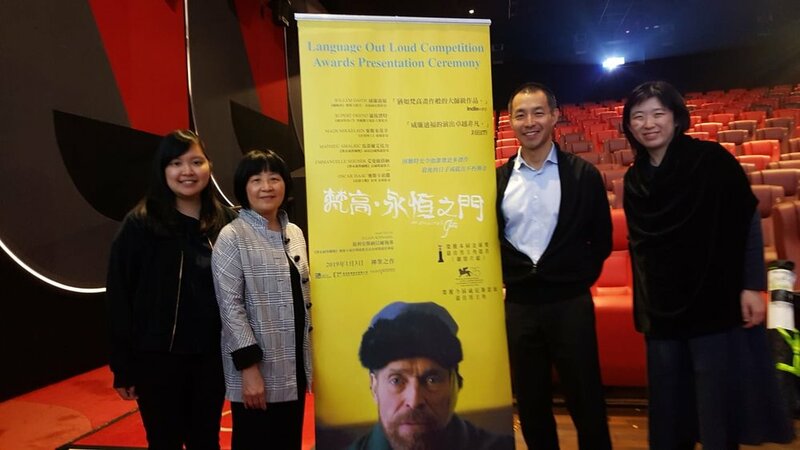 Over 200 guests, awardees, parents and teachers attended the Language Out Loud Awards Ceremony, held on 12th January 2019 at the Movie Town in Shatin. For details of the competition and event, visit this link. Language Out Loud (LOL) is a series of campaigns to promote language arts, 21st century skills, and artistic expression using text and visual arts among school children in China. The campaign was initiated by Wiseman Education in partnership with Cultural Agents and Pre-Texts.